To report a cybercrime, view cybercrime information or to access help about cybercrime, go to the Australian Cybercrime Online Reporting Network (ACORN) website. All cybercrime reports must be submitted online at the ACORN website, which refers reports to the most applicable agency in Australia. Western Australia Police Force no longer accepts direct reports of cybercrime. 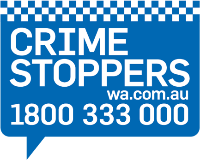 To request an update on an existing ACORN report, please email ACORN@police.wa.gov.au. Australians are vigorous consumers of technology, with one of the highest adoption rates in the world.